I saw this recent post with a title (Recycled Gloves) about gloves made from recycled materials. The post itself is a bit misleading since these gloves are also made using Kevlar, Polyester, and Neoprene. Not the kind of stuff you recycle; or “can be” recycled. I investigated this claim further by going to the company’s web site and they clearly refer to gloves made from a “fabric” using recycled materials. Lame but maybe true. You see, I was weaned in the healthcare industry where you must substantiate such claims or references. Don’t you think when a company refers to a recycled glove; it should be made from 100% recycled material? I welcome our comments. 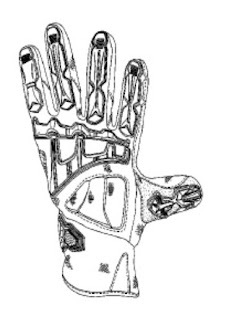 Welcome to the Glove Guru’s blog. Blog. Blog. Blog. It’s all I have heard for the past year. As the Glove Guru, you need a blog. As an Internet retailer, you need a blog. Blog. Blog. Blog. So, here it is The Glove Guru blog. If you found me through www.gloves-online.com, you already know that this blog is associated with it. Gloves-online.com started in 1996 (yes, that’s 1996) as a way for me to publish information about gloves for my customers. At the time, I owned and operated Polygenex International, Inc., the largest specialty knit glove manufacturer in the world. By 1998, I realized GO Gloves™ was the business and manufacturing gloves in the U.S. just wasn’t cutting it anymore. So Gloves-Online.com became an e-retailer more than 10 years ago. This is where I will educate consumers about new gloves, glove features, glove news, teach the industrial buyer how to select gloves for different reasons, answer those everyday questions and all my frequently asked questions, and probably a bit about how the Internet and business go hand in hand (yes, I used the pun intentionally. ).